Barbara Morrison, who writes under the name B. Morrison, is a poet and writer, a publisher, teacher, and dancer. A few years after graduating with a BA in English, her marriage collapsed and she found herself forced to go on welfare. It is this experience of a world very different from the one in which she grew up that she describes in her memoir, Innocent: Confessions of a Welfare Mother. She attributes part of her success in escaping poverty to her involvement in the world of traditional dance and music. She performed as a morris dancer for thirty years and continues to be active in the Country Dance and Song Society and several of its affiliates. 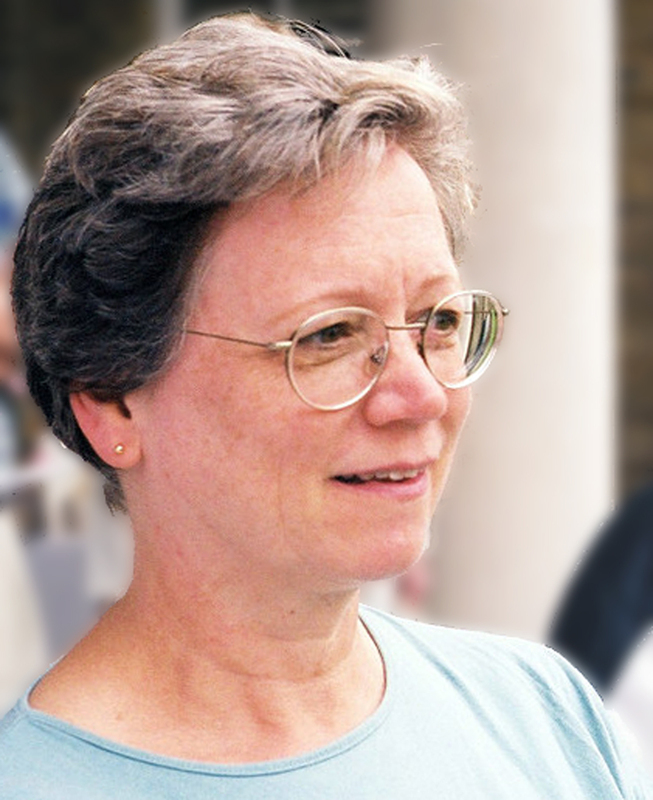 Barbara is also the author of a poetry collection, Here at Least, with a second volume, Terrarium, scheduled for 2012. She is currently working on a novel. Barbara has won multiple awards, been invited to speak as a featured author, and been published in magazines such as The Sun, Sin Fronteras, Scribble, and Tiny Lights. She conducts writing workshops and speaks on women’s and poverty-related issues. She is also the owner of a small press and speaks about publishing and marketing. Come by her website for more information. Barbara’s Monday Morning Books blog is where every week since 2006 she has been sharing insights about writing gleaned from her reading. You can also find her on Twitter where she tweets regularly about poetry and on Facebook. Be sure to visit her GoodReads Author Page and her Amazon Author Page. I met Barbara through Robert Lee Brewer’s April Platform Challenge last year and am pleased to welcome her to Writerly Goodness. 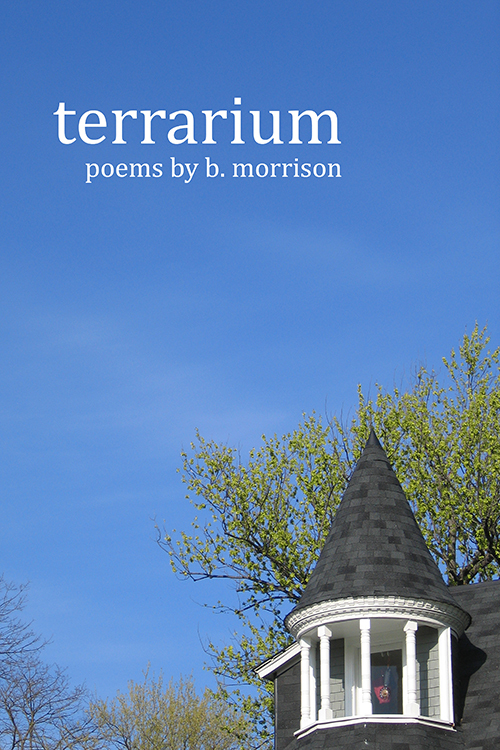 Terrarium will be Barbara’s second collection of poetry and will be published in May 2013. WG: When did you begin to write poetry and how do your poems come to you? BM: I began writing poetry in high school and continued through good times and bad, even when I was a single parent working three jobs. Although I’ve also kept a journal, it is in poetry that I seem to have chronicled my life. At first I thought I had to wait for poems to come to me, but after I spent a couple of years making myself write a poem a day, I realized that there would always be something troubling or tickling me, something I wanted to praise or puzzle over. WG: What is your creative process like? Do your poems incubate for a while? Do you edit extensively? What role does your publisher play in the process? BM: They often start with a single phrase. Some poems come quickly while others take their time. I then put them away for a while before starting another round of editing. I often repeat this process several times. I self-publish my poetry, but once I put on my publisher’s hat, I might demand further revisions. WG: Terrarium’s theme revolves around various interpretations of home. How did this theme evolve for you and how does it reflect the “place” you find yourself in at this point in your life? BM: I actually started with the theme and deliberately wrote poems around it. I often dream about a particular city. It doesn’t exist in our world, as far as I know, but I could draw you a map of it; the streets and shops and houses are the same whenever I revisit them in dreams. Trying to work out why my unconscious needed to construct and continue to inhabit this place made me wonder how our places, both those we choose and those where we find ourselves, influence who we become. I never meant to stay in the city where I now live, so on some level I continue to feel even after many years that my life here is temporary, which in turn reminds me that our stay on earth is temporary, and I must make the best use of it that I can. WG: How was assembling Terrarium different from working on your first collection, Here at Least, and what has the experience taught you about yourself as a poet? BM: With the first collection I agonized over selecting and arranging the poems. I must have changed my mind a thousand times! With Terrarium I was more focused. Also, each of the three sections has a kind of chronology which helped. WG: Is a launch or reading planned? Will there be an online component to your promotion? BM: Yes, I have a book launch party scheduled for 10 May 2013 at The Ivy Bookshop in Baltimore, MD. I also have several readings set up; see my website for details. One thing I’ve learned about online promotion is that there is no end to what you can do, so I will pace myself. WG: What’s coming up next for you? BM: I’ll be teaching a five-day memoir workshop called Sharing Our Stories at Common Ground on the Hill in July; for more information, see my website http://www.bmorrison.com. I am also working on a novel. Thank you for sharing your creative journey with us!